State Bank of Pakistan (SBP), the country’s central bank and regulator, has completed a major upgrade of its core banking software. The bank moved its currency and banking systems from Temenos’ legacy platform Globus G11 to T24 R15. The project was carried out by the bank, Temenos and National Data Consultants (NDC), Temenos’ implementation partner in the region. 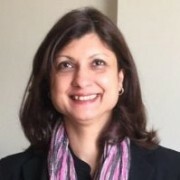 Ammara Masood, president and CEO of NDC, says this was “the largest jump in releases for any Temenos upgrade worldwide”. Deal includes digital channels platform, Temenos Connect, and T24 upgrade. The Multifonds Global Accounting platform will consolidate investment assets. Savings and deposits now done on the new core banking platform, Temenos' T24.